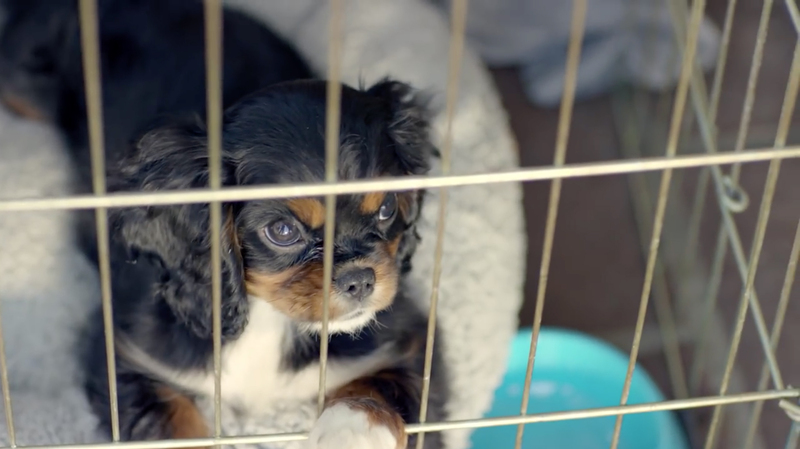 Purina is promoting Puppy Chow dog food with “Puppyhood”, an integrated advertising campaign including a Buzzfeed video and a content-rich website. At the heart of the campaign is a 3.5 minute short film featuring a man who adopts a Cavalier King Charles Spaniel puppy. King Charles becomes Queen Charles before picking up the name Chloe. Chloe learns all about soccer practice, playing the piano, 1980s music, bathroom privacy and the value of miniature landscapes. 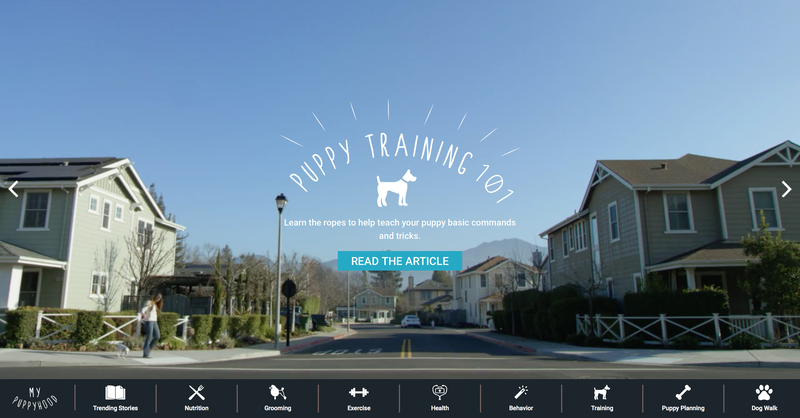 The video connects viewers to the microsite, puppyhood.com. 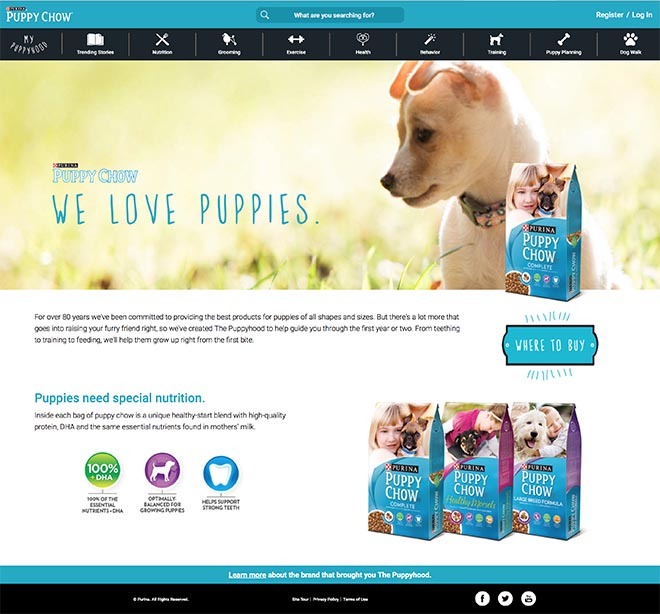 Puppyhood has multiple sections: nutrition, grooming, health and training. There’s also a section called “trending stories,” which features the site’s most popular pieces. Stories include “Choosing the best dog food for your puppy,” and “Puppy worms and how to treat them.” And, a “Dog Walk” feature finds the best strolls for your new best friend. 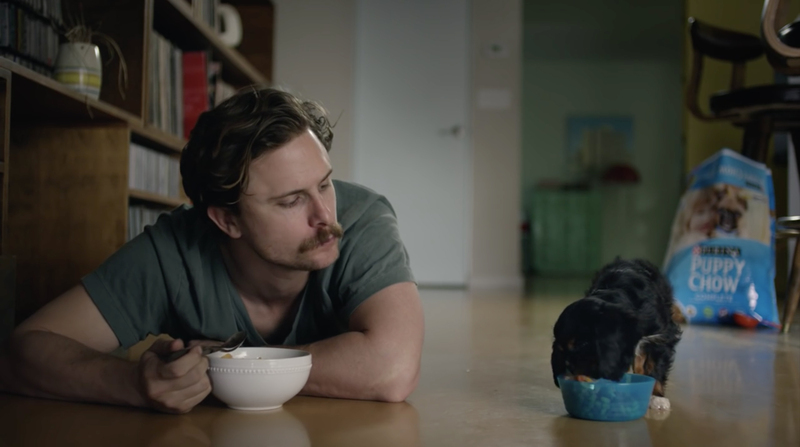 Buzz feed’s earlier work for Purina’s Puppy-related products includes “Giant Men Meet Tiny Puppies” and “Humans Are A Dog’s Best Friend. The Purina Puppyhood campaign was developed at Night Agency. Filming was produced by BuzzFeed.